Hate them or love them, fidget spinners are the coolest gadgets of the moment. 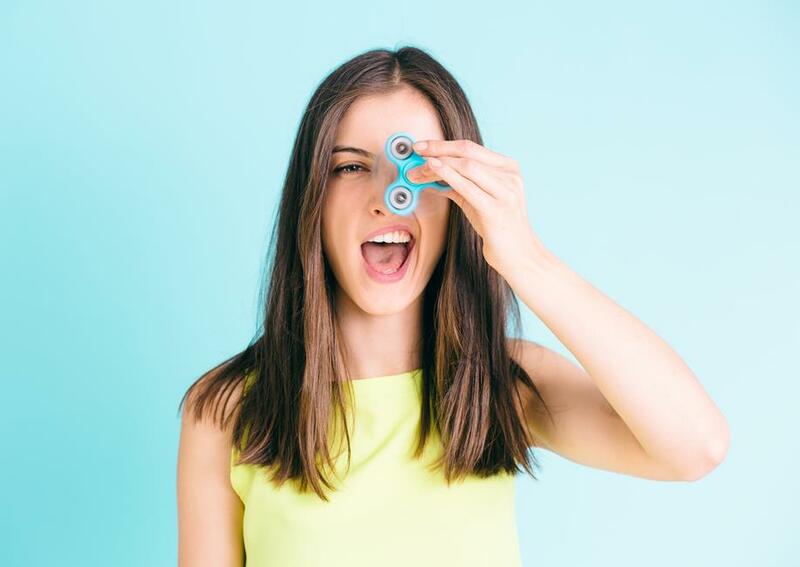 Whether you’re absent-mindedly twirling them or coming up with fun games for your friends, or even if you’re balancing them on the nose of your sleeping pet, these viral little spinners are ruling social media and millennials. Fidget spinners go way beyond just their basic three-sided design. Cooler, more high fashion varieties include many more arms, designs and even LED lights with Bluetooth technology. Instead of just randomly spinning it, you can listen to music and watch the trippy lighting blink along to the rhythm. Fidget spinners remind us of how important social media marketing is these days. The creators began mass producing the thrifty device and advertising through their social media page. They even managed to collect a significant amount of money through popular crowdfunding site, Kickstarter. It is said that online searches for the device exceeded even Kim Kardashian and US President Trump! And speaking of Kim Kardashian, the reality star is also cashing in on the trend. Her brand, Kimoji, began selling fidget spinners with the star’s face plastered on all three ends. Not only that, but she also has dollar sign ones at a higher price. The product got a celebrity endorsement from none other than Goop founder, Oscar winning actress Gwyneth Paltrow. The sassy mother had given out fidget spinners on her son, Moses’ 11th birthday. Since then, its popularity has spread far and wide in Hollywood. According to Forbes, fidget spinners are the latest office trend for 2017. Though schools have tried to get their students to concentrate more on studying and less on this distracting device, offices are an ideal place to spin away and pass the day! Creator of the fidget spinner, Catherine Hettinger, was inspired to create a device after vacationing in Israel. She was made aware of children pelting passersby with stones, and decided to create something that would help them channelize their energy. And the trending device was born! Toward The Future: These are the richest people in the history of the world!